The world famous Royal Canadian Mint is releasing a new series of four one-ounce silver coins, to be known as the ‘Predator Series’. This coin, featuring the fearsome cougar, is the very first release. You can expect these coins to sell out fast and generate immense interest among collectors, just as previous first-release issues from the Royal Canadian Mint have done so in the past. This is a separate series from the 2011-2013 Canadian Wildlife series, and a different coin than the 2012 Silver Cougar. Contains 1 troy ounce of .9999 fine silver bullion. Restricted mintage of only 1,000,000 coins. First release of the Royal Canadian Mint’s ’Predator Series’. Individual coins ship safely in protective plastic flips, lots of 25 ship in official mint tubes, lots of 500 ship in official mint cases. Legal tender face value of $5 (CAD). Guaranteed by the Canadian government. Display a powerful image of a cougar attacking its prey on the back of the coin. Queen Elizabeth II’s effigy on the coin's obverse. Anti-counterfeit radial design and micro-year stamping. This is an official sovereign silver coin guaranteed by the Canadian government. You can find also other years of official Royal Canadian Mint coins available here. 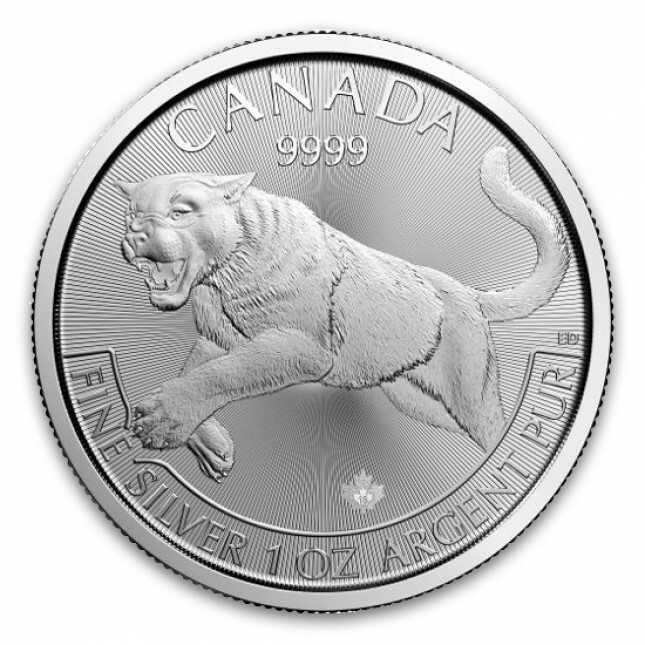 These .9999 pure silver coins depicts the cougar in an aggressive pouncing manner never before struck on a Canadian coin. The cougar is the world’s fourth-largest cat, and is also known throughout the Western Hemisphere as a mountain lion or puma. The cougar is one of Canada’s most powerful, rare, and beautiful predators. In western Canada, cougars have the reputation of being stealthy hunters that rely on their keen senses to survive. A cougar’s exceptional vision is uniquely adapted to allow it to hunt its prey during any hour, day or night. The obverse of this coin features the familiar right-profile portrait of Queen Elizabeth II. 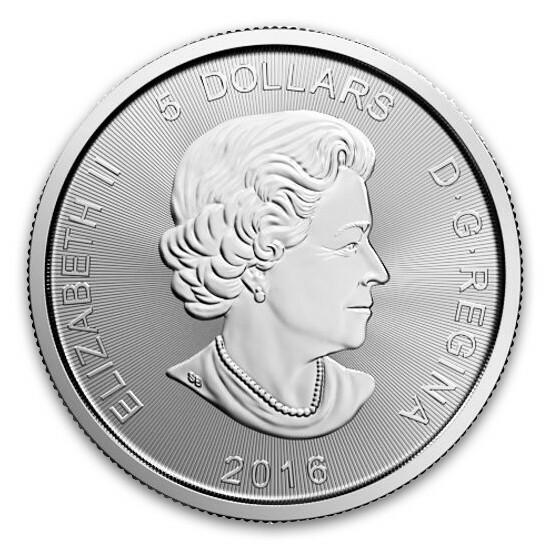 Her Majesty’s effigy is accompanied by engravings of her name, the year of issue, and the $5 CAD legal tender face value of this coin.